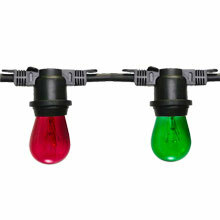 25 red & 25 clear white light bulbs and 100 foot black non-suspended strand are included! Each light strand measures to be 100 feet in length and has 50 light sockets spaced out by 2 feet. 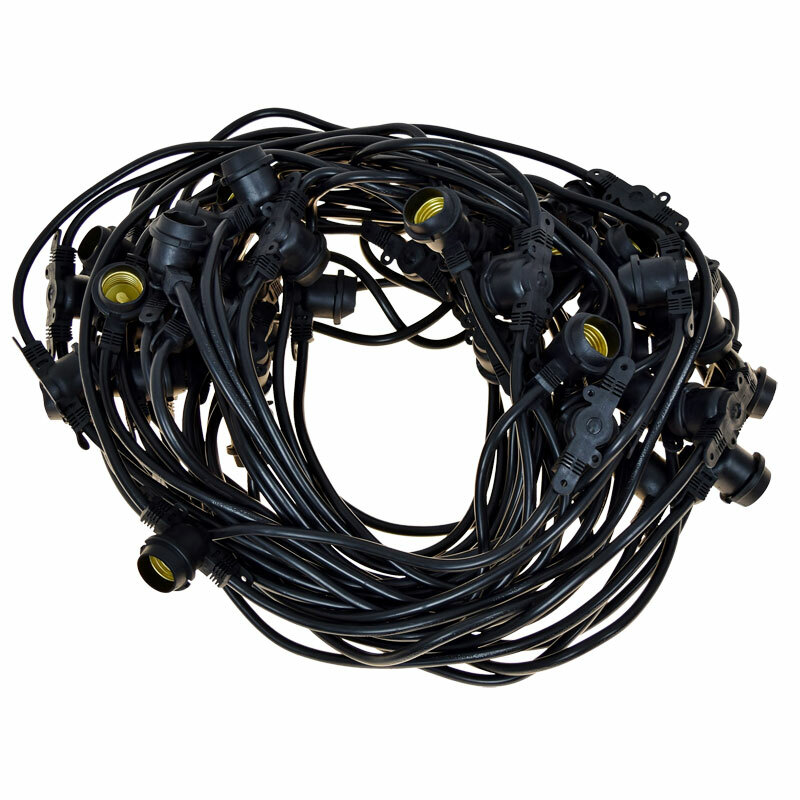 This commercial grade light strand ensures long life and low maintenance for linear festival lighting. 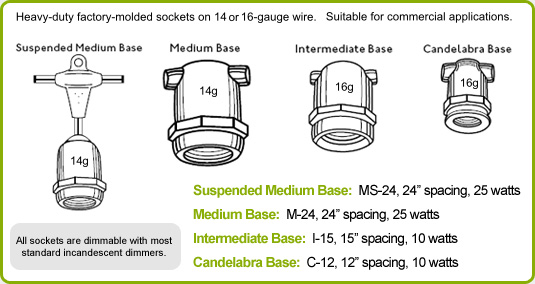 Heavy-duty factory-molded sockets on 14-gauge wire is suitable for commercial applications. 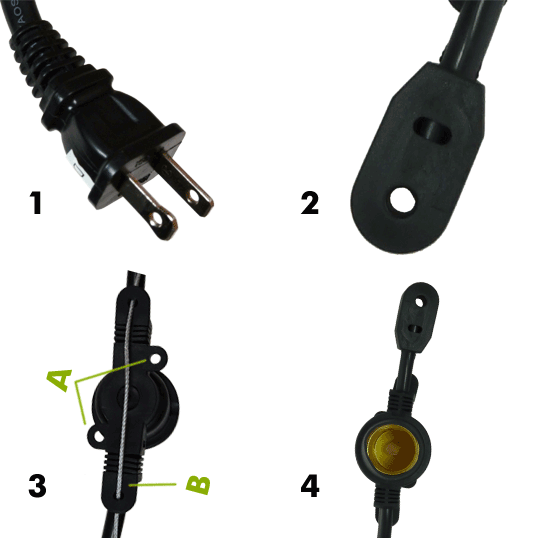 Formulated PVC socket forms a tight weatherproof seal around the bulb. CANNOT be connected end-to-end. 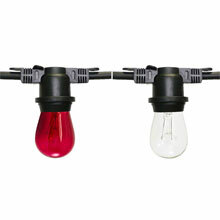 The included transparent red and clear white incandescent glass bulbs last a long time, lasting approximately 3,000 to 5,000 hours (3 times longer than standard lamps). The extra thick glass filament with nickel base ensures durability and extended life even in outdoor conditions. 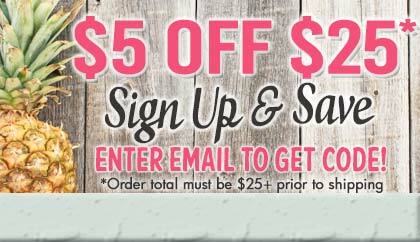 The long-lasting, waterproof colors are double-dipped for uniformity and color saturation.